It’s safe to say that modern households aren’t just about living areas, bedrooms and dining spaces anymore. 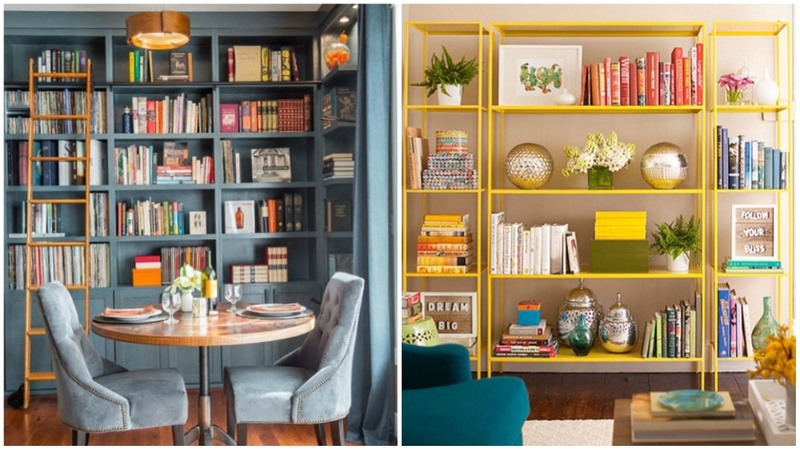 Nowadays, we gravitate toward dressing every part of the house including the library. Whether you were born a reader or you just love collecting rare titles, books add character to a home as it reflects the personality of the dweller. If you own way too many books for store-bought shelves, try having floor-to-ceiling bookcases built instead. Paint them in a deep, charcoal gray to keep the focus on your wide collection of reads. If you want something less bold but just as subtle, a medium blue-gray can do the trick. It is said that tones of blue are great for study and reading spaces as it can help improve concentration while lending a calming vibe. 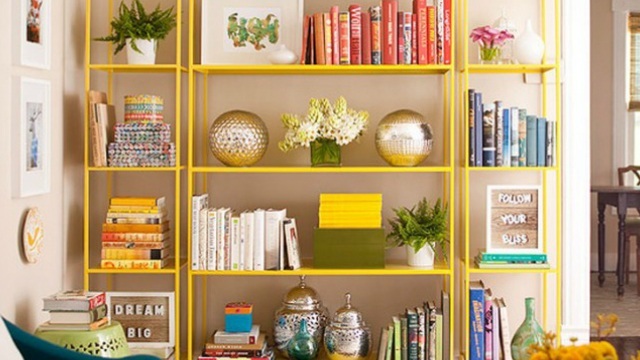 Breathe life into gloomy days with shelves brighter than the sun. This is sure to bring you a little bit of cheer every time you reach for a new title! For those who want to play it safe with a basic, white shelf, you can add color by arranging your books by the order of the rainbow. Aside from adding a unique touch to your decor, it creates the illusion of a more organized space, too! Channel your inner Barbie with sweet pink floating shelves! To keep it from looking over the top, make sure to stick to a neutral base like beige or taupe for a timeless feel.